Individual Users can change some DonorSnap Settings, such as what fields the “Search” button searches, what version of Excel to export to. These are useful tabs for a User that is not given access to the Maintenance Tab. 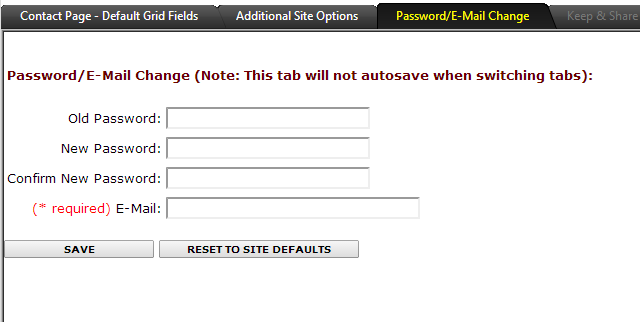 Changes made here under User Settings will override the default set up choices under Maintenance > Site Setup. 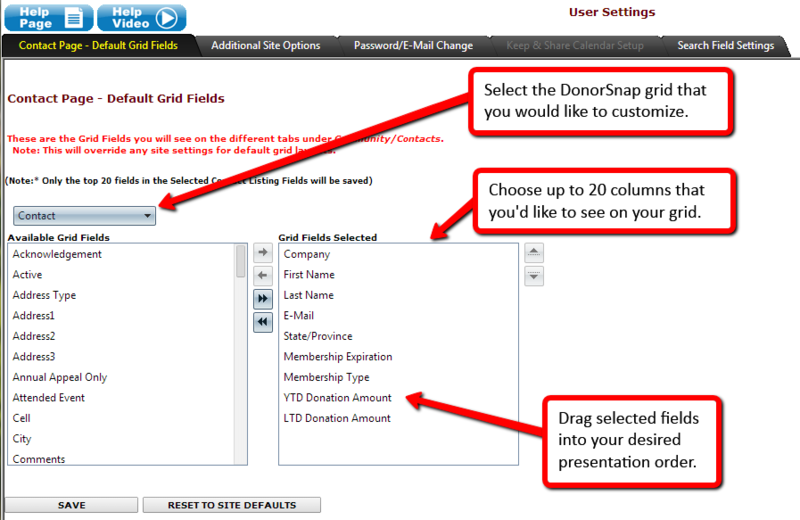 DonorSnap allows each USER to individually customize their view of each DonorSnap grid. Choose up to 20 columns to display on the grid and the order in which to display the columns under Home > User Settings. First select the Grid to customize from the Drop Down list at the top of the screen. 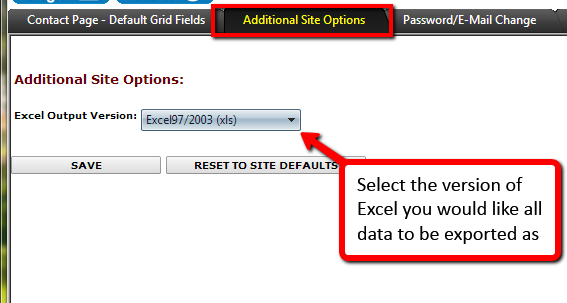 The current fields on the Grid are listed in the box labeled “Grid Fields Selected” and the other fields available to be put on the grid in the box labeled “Available Grid Fields”. Select the field to move by clicking on that field and then using the control arrows in the middle to move the field to the left box or right box. You can also click and drag from one box to the other. Rearrange their order of appearance by clicking on a field and dragging it to the desired position in the Grid. You can use the Shift Key and Ctrl Key to rearrange groups of fields on the grid.